Posted on September 27, 2013 September 29, 2013 by Dayna Jacobs - "On Granny's Trail"
This is fourth in a series of posts about digital databases for the Western States found on FamilySearch.org. Previous posts have covered California, Arizona, and Colorado. FamilySearch has been digitizing the 3 million+ microfilms in the Family History Library. Every week new records are posted, and it seems to me they are progressing at a good pace. Eyeballing the list of collections from the United States it appears they have made vital records a priority. And did you notice the date range for this record collection? 1726-1918. Not too shabby. In 1726 New Mexico was under Spain’s jurisdiction. During the Pueblo Indian revolts of 1680-1700, Spanish records were destroyed. By 1700 Spain had regained control and record-keeping re-established, so this record collection provides pretty good coverage. It also covers the period of Mexico’s control over the area—1821-1848. The record description also says these were records from the IGI or Vital Records Index, which tells me they were extracted from Catholic church records. This would be a good starting place for your early New Mexico research. 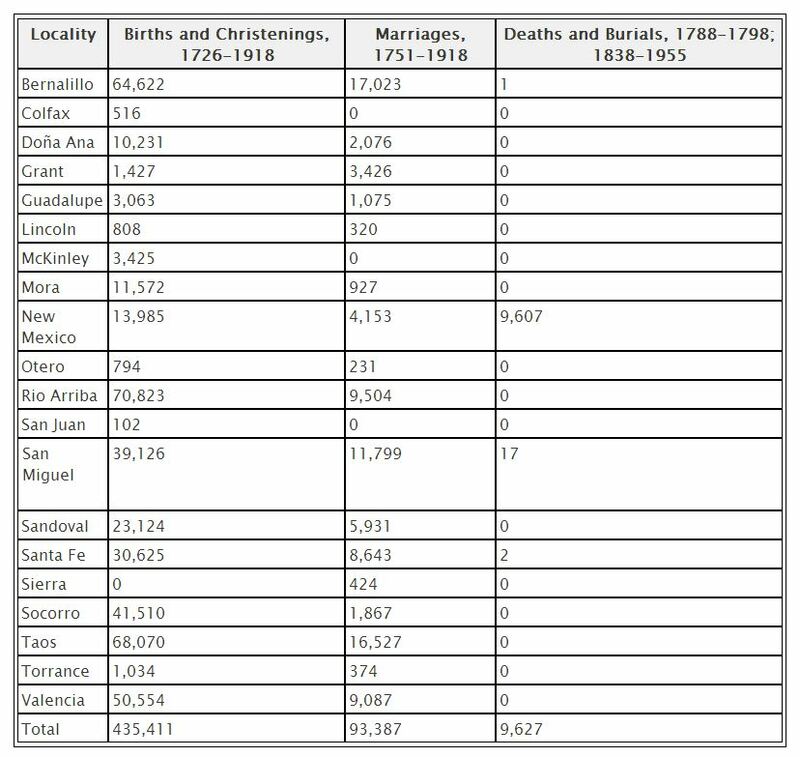 The “New Mexico, County Death Records, 1907-1952” provides images of death records from county death registers, but only covers 3 counties at this point. Check the FamilySearch Blog every week for news about which record collections have been added.